Before the wedding there’s the proposal and many of our couples usually have an interesting story to relay which has inspired us to help you plan your perfect proposal, after all, to seal the deal you need to make it exceptionally memorable. Hopefully, it will be the one and only proposal you ever make so make it wonderful! Planning a marriage proposal doesn’t mean you have to spend a fortune on letting your other half know just how much you love them, do remember it’s the thought that counts although if money is no object then by all means go to town. We have a few fabulous stories to share with you and we are confident they will help give you some ideas when thinking about planning your proposal. One groom we are currently organising the wedding entertainment for, thought out a very low-key but extremely special proposal to his beautiful bride-to-be. He whisked her away on a romantic trip in Europe (you can go anywhere, it doesn’t need to be abroad!) to a beach destination and over the course of a few days he collected shells and stones. When he felt he had enough and while she dozed in the afternoon sunshine he spelt out the words “Marry Me” in the sand so that when she woke up, she was taken by surprise at this romantic gesture. On the theme of holidays, consider this option as an idea. A couple who married just last month were traveling to Rome for a weekend getaway when an announcement came over the intercom in the airplane asking all passengers to remain seated and the captain himself popped the question on the now groom’s behalf in front of all the passengers. There was plenty of champagne flowing following the big YES answer! Another groom we are working with planned a picnic with close friends and family and purposely arrived late safe in the knowledge everyone was there. With the help of his soon to be best man, he turned up with a bunch of red roses and dressed up in black tie while his best man had portable speakers bellowing out Harry Connick Jr’s “It had to be you”. He then went straight up to his bride and proposed in front of everyone. Aaah, nicely done! 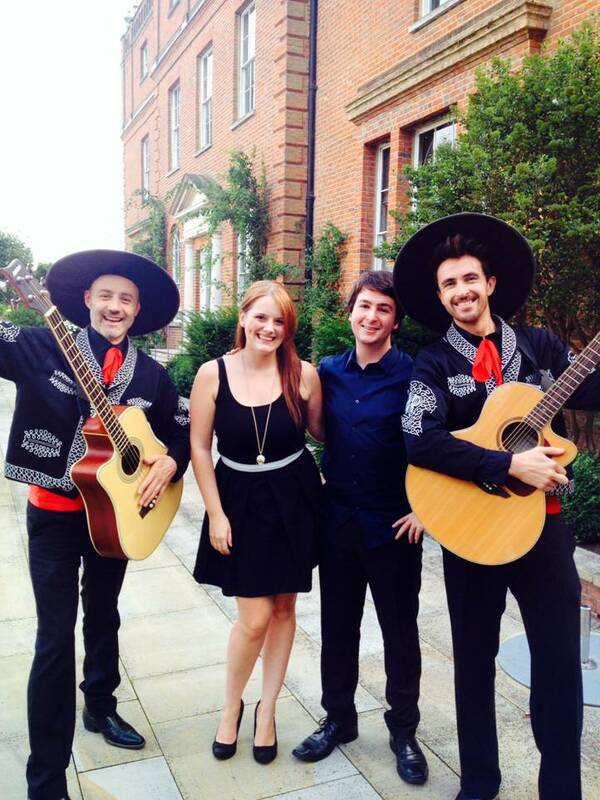 Only last month one of our own acts – David the Caricaturist, proposed to his girlfriend at the fabulous Collete’s at The Grove in Hertfordshire and he hired The Burrito Boys to help him by performing a Mariachi version of “All My Life” by K-Ci and Jojo – quirky fun and romantic… So of course she said YES! We heard of another couple who went to a very smart restaurant and organised with the maitre d’ to present his then girlfriend with her main-course covered with a silver cloche. When he removed the lid there was something extremely sparkly sitting in the middle of the plate (don’t worry – the food came later). One groom-to-be woke up one morning feeling absolutely positive that he had to ask his now fiancée to marry him there and then so he sprinted into the bathroom and wrote those immortal words “marry me?” on the bathroom mirror in shaving foam… we love that idea especially if you are saving your pennies for a house together or you want to be able to put some money away for the wedding and honeymoon. 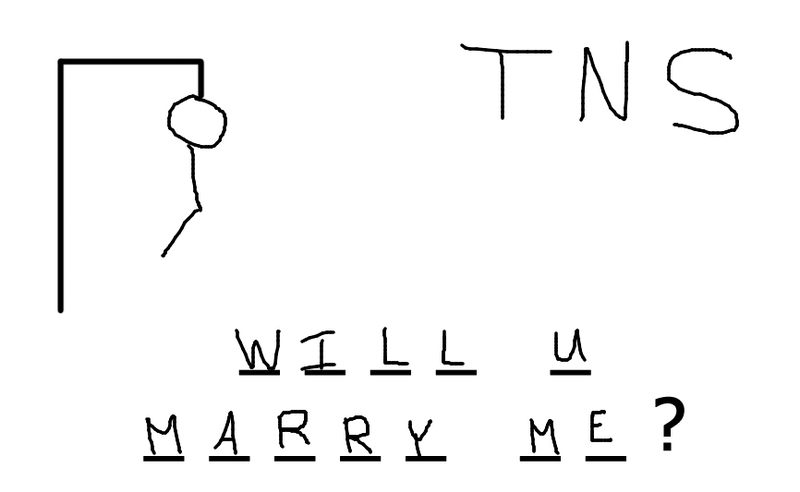 On the same theme of simple but special, we know of one lovely lucky lady who proposed to her now fiancée just by playing Hangman and spelling out the words ‘Will U Marry Me’ – needless to say it worked! What we love about our job is that we can also be part and parcel of the perfect proposal. We have a list as long as our arm of grooms (and brides) who wanted to do something a little different when proposing. There was the proposal using one of our brilliant magicians who simply made the ring magically appear (classic but effective), the magician who asked the lady to pick a card – any card – and it had the words ‘will you marry Steve?’ emblazoned on the front on the King of Hearts! We’ve had our very own Frank Sinatra tributes propose on behalf of a few of our gentlemen and we’ve had a fabulous lady use a Marilyn Monroe lookalike for her proposal to her now husband. We’ve even had our lookalike David Brent appear at a lady’s office (with the boss’s permission of course) to deliver a proposal (the gentleman in question was hiding behind a filing cabinet…!) So, if we can help, we would be delighted to discuss some ideas and options. ii) Boating in Cambridge or Oxford – this is probably best kept for the summer months though. iii) The Lake District – take a walk through the glorious countryside and perhaps choose a particular route such as the South Downs Way or the Pennine Way, they are absolutely stunning and make the perfect proposal backdrop. iv) Glyndebourne – the home of the opera house in East Sussex. You don’t have to love opera; the experience itself is mind-blowing, exquisitely dressed people, delicious champagne picnics and unbelievably kept gardens. It will make a most memorable day and night. v) Hot Air Balloon – There are many places you can fly a balloon, choose a magical spot in the UK – but don’t drop the ring! We hope we have inspired you to pop the question – everyone at Warble Entertainment wishes you good luck, hopefully she or he will say yes and then it’s all systems go for planning the big day. For more information on how we can help with planning a proposal or provide wedding entertainment for the big day itself please contact us at Warble on 0845 643 9384.